THE DAY TRIPPER WITH CHET GARNER TURNS "COWBOY"
Few things are as intertwined with the image of Texas as the cowboy. Whether driving the long, dusty trail or riding a bucking bronco, cowboys epitomize the rugged, independent spirit of the Lone Star State. I decided to spend a day in the self-proclaimed “Cowboy Capital of the World” to capture some of that enchanting spirit for myself. This town calls itself the “Cowboy Capital of the World” and for good reason. Stephenville (and greater-Erath County) has more world-championship cowboys per capita than any other town on the planet. These aren’t just guys who wear hats, drive big trucks, and pretend to own horses. These are the real deal. Start your visit with a walk along the Cowboy Capital Walk of Fame right off the square. The plaques on this city block honor the men and women who have made an impact on the cowboy culture of Stephenville. 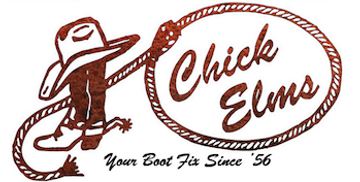 To meet one of these cowboys first-hand, head to Chick Elms Grand Entry Western Store and Rodeo Shop started in 1956 by walk-of-famer G.K. Lewallen and now run by rodeo champion Chick Elms. Pick yourself up a shiny pearl snap, and then head to catch the action at Lone Star Arena. This facility is constantly hosting rodeos and riding events. If you’re brave enough, you can even jump on a bull and try it yourself. For a taste of Stephenville’s modern culture, check out the campus of Tarleton State University and cheer on the Tarleton Texans.